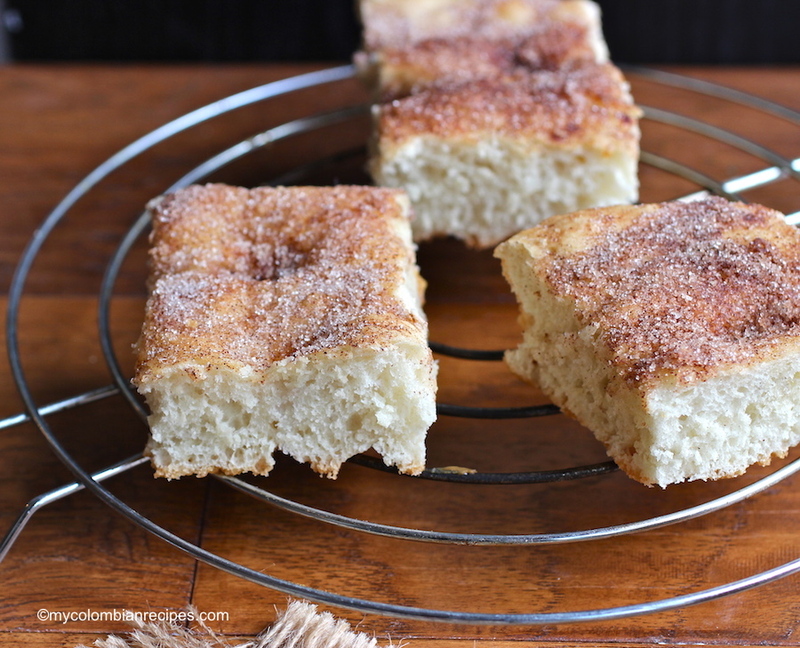 There is nothing quite like the smell of yeast as the dough rises, the wonderful aromas that fill the kitchen as the bread bakes and of course, getting to enjoy homemade bread, warm straight from the oven on a cold winter day. Even though I am still a rookie when it comes to baking, I am slowly, but surely getting the hang of it, especially baking breads. 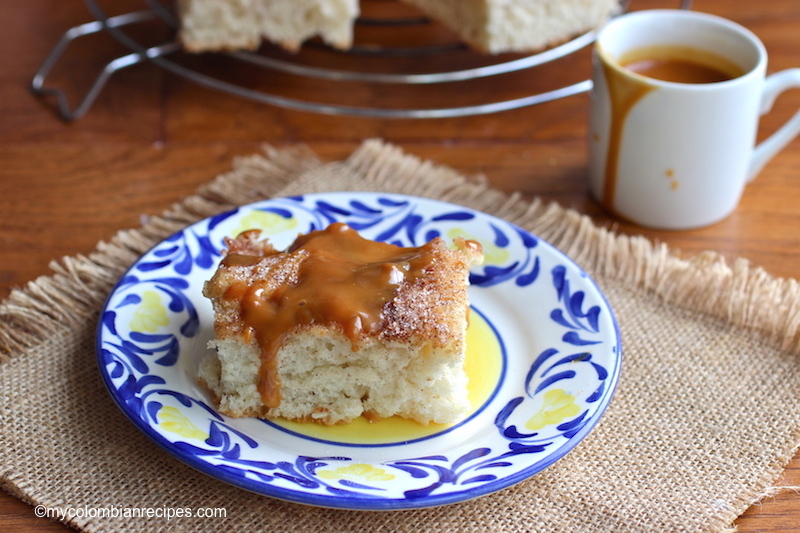 I must confess, when I started this blog almost six years ago, I was intimidated by baking with yeast and the first bread I made using it was as hard as a rock. I tossed many loaves into the garbage. I am happy to report that I’m now over my yeast fears! If you’ve never made bread before, this focaccia bread is a great way to start. Making the dough is easy and it comes together in minutes by hand and there’s no need to first dissolve the yeast in water. Basically, this is a dump-it-in-a-mixing bowl kind of recipe. My favorite kind! 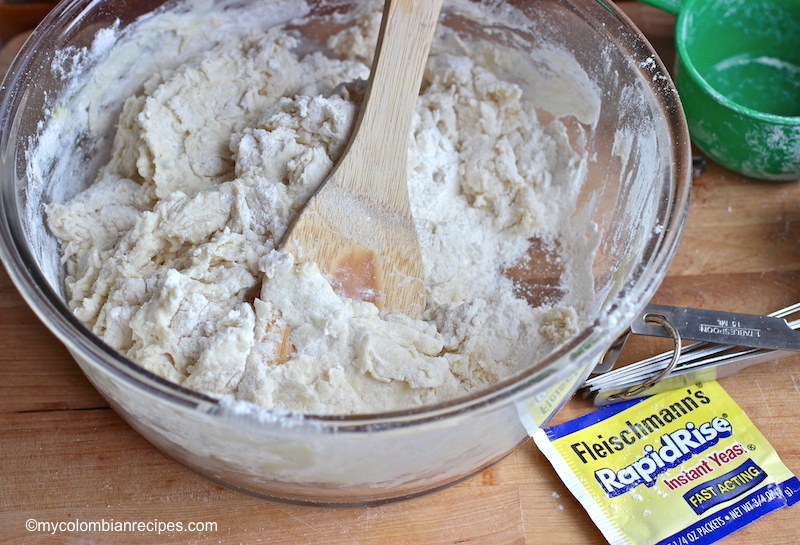 I used Fleischmann’s® RapidRise Yeast to make the dough. It’s the best and never lets me down. If you’re a novice bread maker, consider this yeast your insurance against goofs as it’s very forgiving. 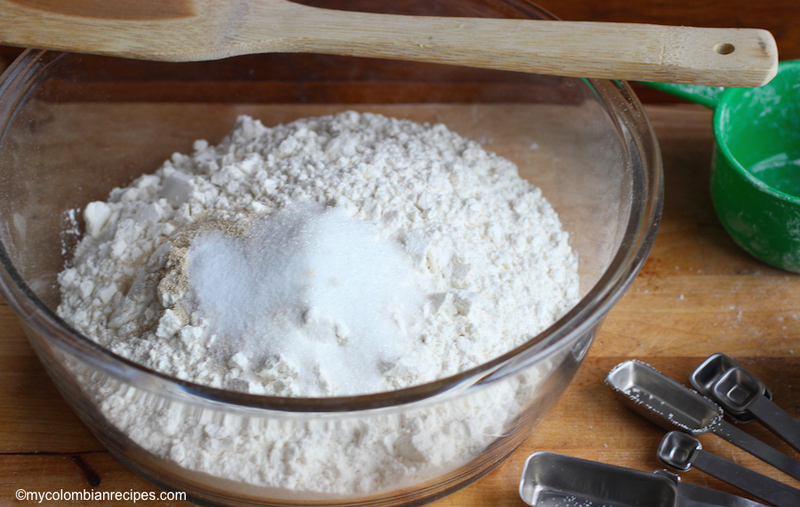 Since it’s an instant yeast, you don’t have to proof it, you simply add it with the other ingredients. 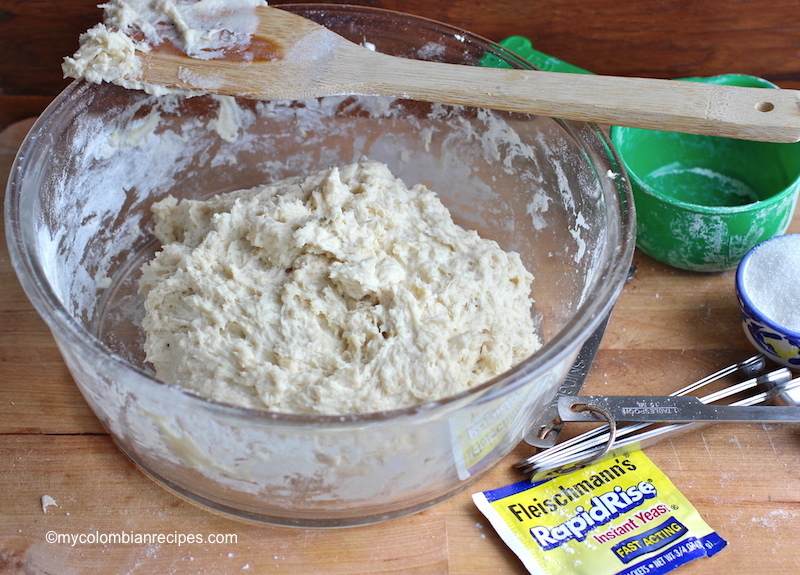 The dough is very sticky but very easy to manage, like playing with Play-dough for grownups. The shape of focaccia bread really isn’t important. I went with a classic rectangle, but you can roll it into an oval or circle if you prefer. I used the beginner focaccia recipe from the Fleissmann’s site as a base for my bread and the only change I made was the topping. 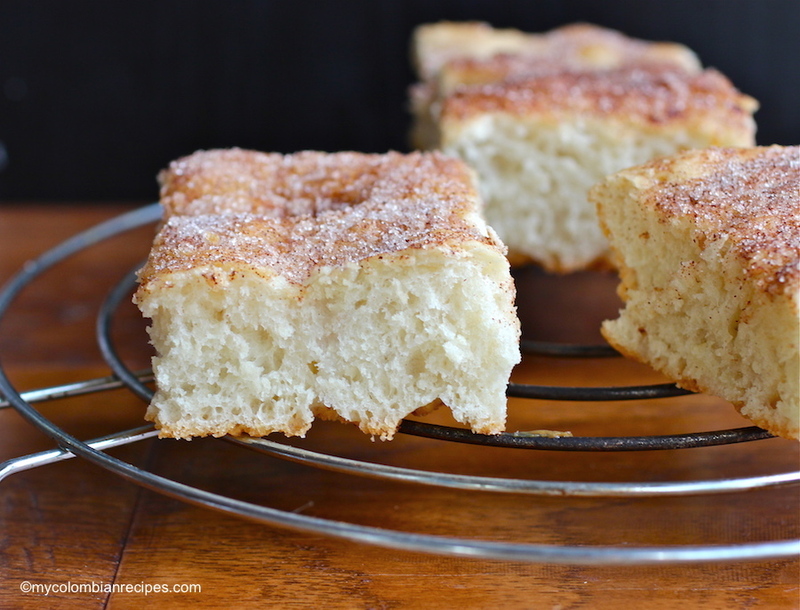 I made a cinnamon-sugar topping instead of their savory parmesan cheese and herb topping, but I will be trying that one next time. I made it for my kids after school snack and I wanted to make something we all would love. 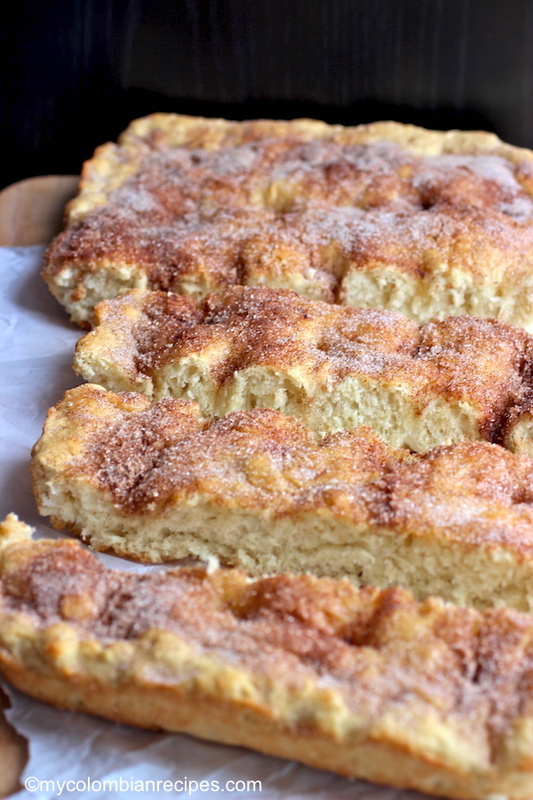 I am a huge focaccia fan and my kids and husband love cinnamon bread, so I combined my appreciation of focaccia with their love for cinnamon bread. 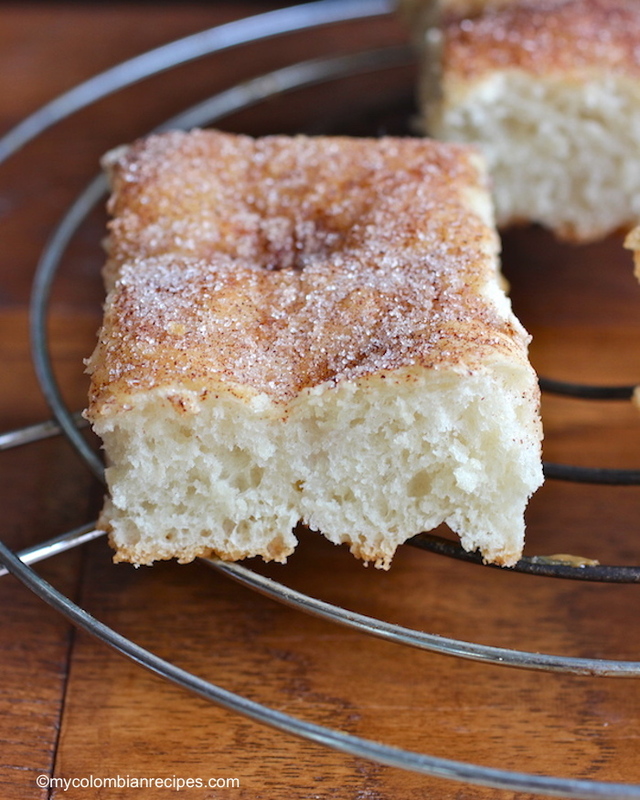 The cinnamon-sugar adds a special touch to the focaccia. My kid’s eyes lit up when they saw the bread on the table. This focaccia bread recipe is fast and easy to make, proving it’s possible to have fresh, warm bread, even on short notice. It’s ready in one hour and made from ingredients I can nearly guarantee you have in your pantry. So I’m going to call the end result a success. 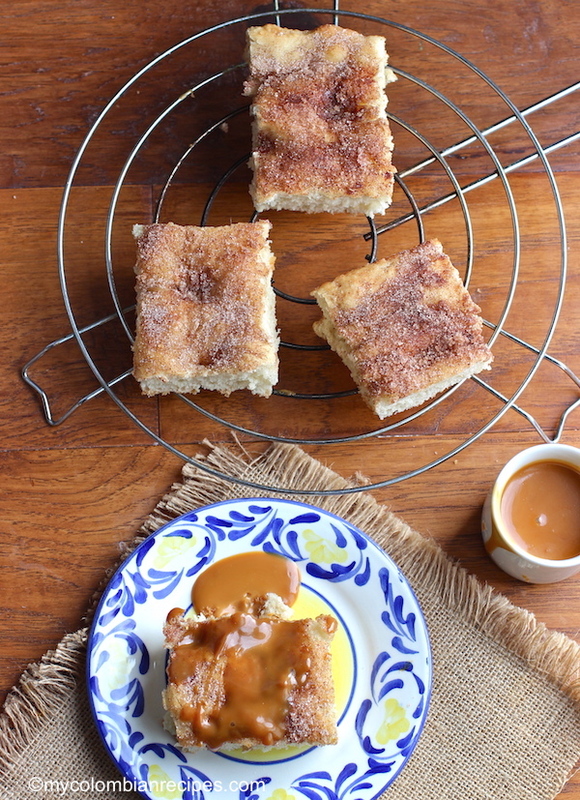 The Fleischmann’s Yeast website is a wonderful resource for tips and tricks to help you get started and to ensure that your baking turns out great.Buen provecho! 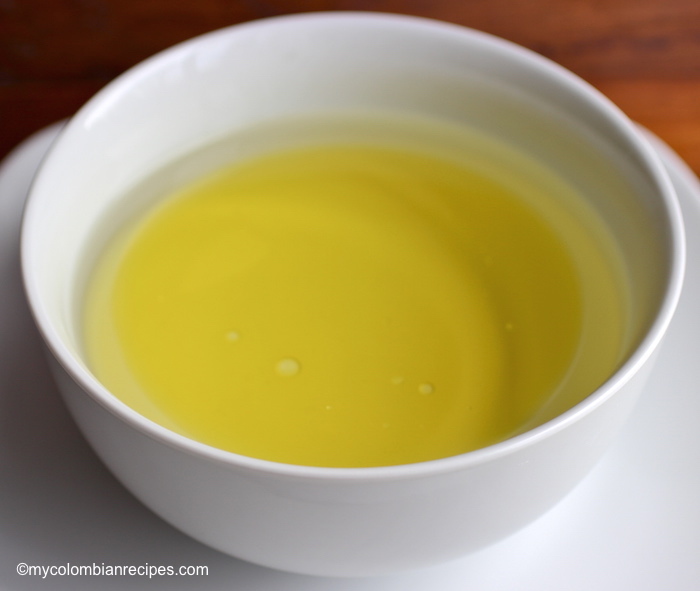 Combine water and 2 tablespoons olive oil in a 2 cup glass measuring cup OR microwave-safe bowl. Microwave on HIGH in 15 second increments until very warm, but not hot to the touch (120° to 130°F). Spread into greased 13 x 9-inch pan . 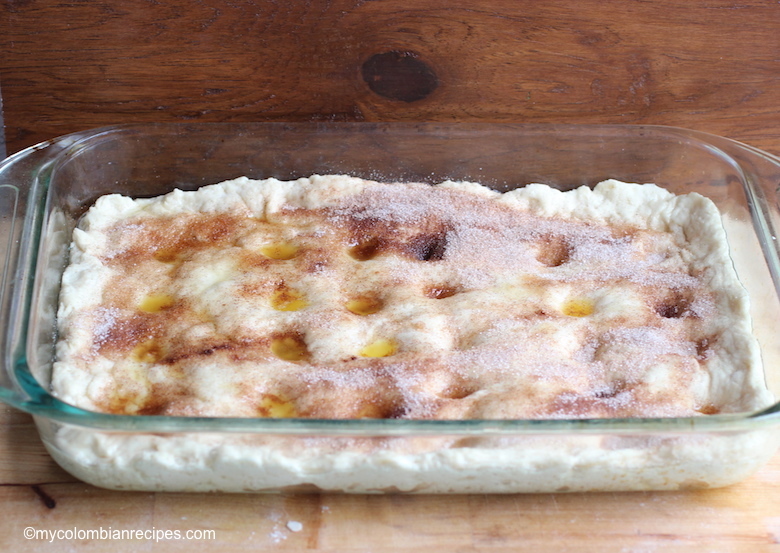 (Don’t worry if the dough isn’t even or filling the corners.) Cover with towel, let rise in warm place until doubled in size, about 30 minutes. 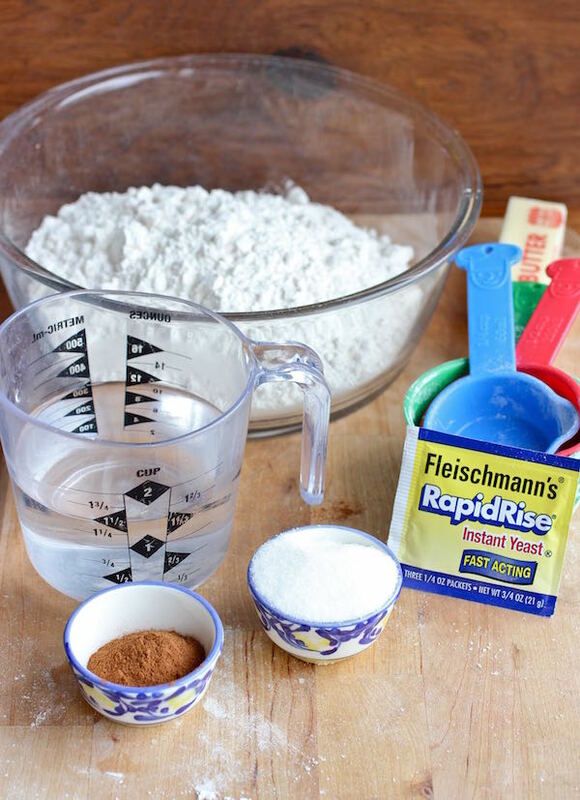 Mix the sugar and cinnamon in a small bowl. Using your lightly oiled finger, gently poke holes about every inch in the dough going nearly to the bottom of the dough. 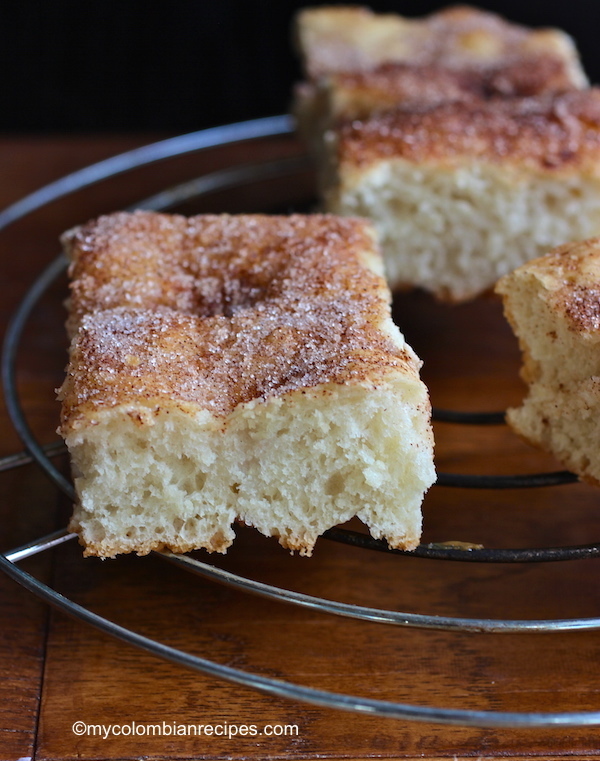 Drizzle with melted butter; evenly sprinkle with half of the sugar and cinnamon mixture. Let rise, uncovered, an additional 15 minutes while oven preheats to 375°F. Bake for 25 to 30 minutes or until golden brown. Cool slightly. 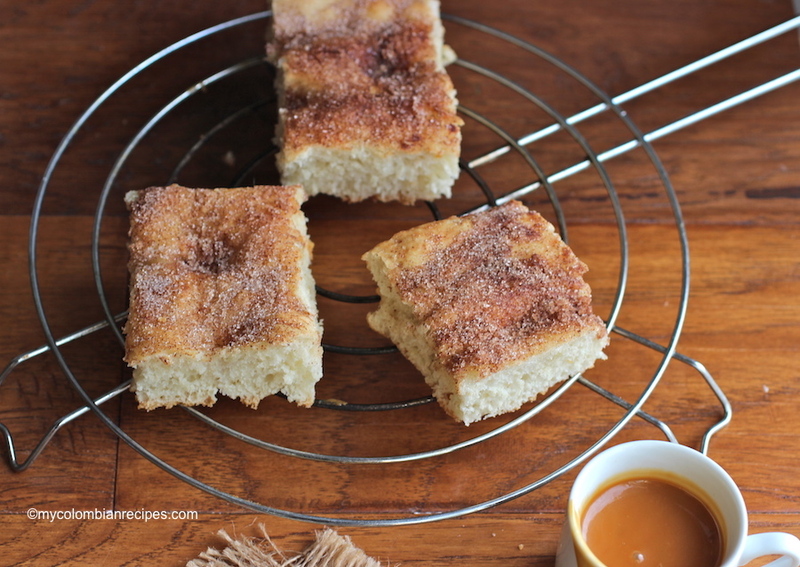 Sprinkle the remaining cinnamon-sugar mixture. 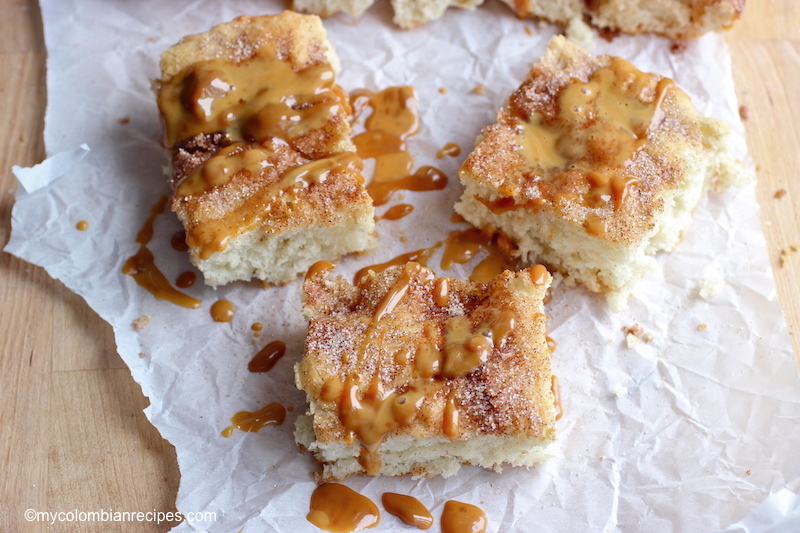 You may also serve with caramel sauce for extra goodness!